A few weeks ago, Google changed its image search to the rage of webmasters — especially bloggers of photographers. However, hits didn’t seem much too affected here. Maybe there was a 10% drop in hits, give or take. So I decided to keep an eye for it to check how affected the hits on the site were. It wasn’t until two or three days ago, when I installed Imaguard (besides having enabled Hot Linking, which has been on forever but doesn’t seem to work with Google Image Search for a reason — is that even ethical?) that I saw a BIG drop in hits. To check what was going on, I did a search on my most popular subject: “yu aoi” – the search is disheartening. Before, when you used to image search for “yu aoi,” you would end up with a few tons of photos from my blog. Embarrassingly known as “amy the yu aoi fan,” Besides trying to avoid the posting of random picture spam with no data, I did try to do some research with my barely capable level of Japanese. For commercial work, I tried looking up at campaign names, and creatives involved — for photoshoots, I tried my best to post photographer names and maybe stylists. So people who were fans, would generally end up in my site. Now when you search for “yu aoi,” there’s only one of my files showing up in the first four lines of images. Before, the first few lines used to be flooded with the photos I posted with details. 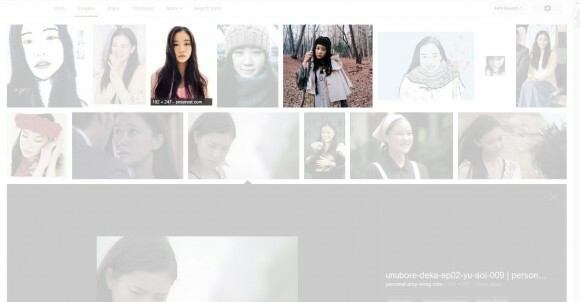 When I do an specific search for “yu aoi + amy wong,” the selected photos in the search get some mix up with Pinterest and WeHeartIt, which are re-postings from my blog. Sighs. Is it time to look for some other search tool other than Google? Everyone loves to hate Jetpack. I actually hated the fact that… 1. I was forced to switch WP-Stats for it, and 2. How long it took them to address the fact that Jetpack had a YouTube embed conflict. It took them so long, that I had to choose between proper YouTube sizing or web stats. A few days ago, I got a new Jetpack update that told me I had two new features. The first one was… COMMENTS. 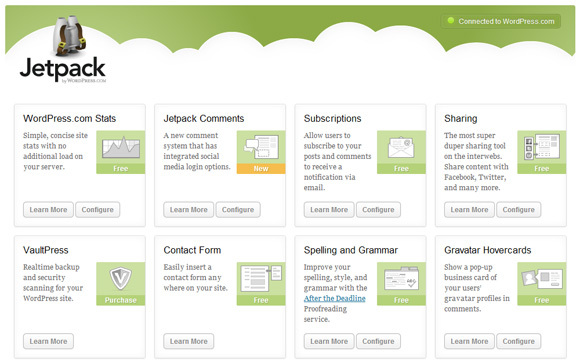 I could finally have the same commenting features that WordPress-hosted blogs had. I read this article on Yahoo titled 5 Movies a Girl Must Watch, and blah. Here is my list of romantic (not necessarily comedies) movies a girl must watch. And if you are a guy, I guarantee you WILL score brownie points if you plan an evening with your wife/girlfriend and one of these movie DVDs. What do you think? Are these Romantic Comedies? Which one is your favorite Romantic film? how do you like the new voting plugin? But now I have been using Google Chrome a bit more than when it first came out, because it’s faster and it’s just there. However, since I browse so many Japanese and Chinese sites, I always end up browsing through them with Firefox because of my add-ons. LUCKILY! Google Chrome has add-ons now! Rikaikun is like a lighter version of Rikaichan, works just like it. and Zhong Wen, which is pretty much a light version of Perapera. All I’m missing is a Koren one, which Perapera said they were working on. I wonder what happened to that business… haven’t seen updates since then. I was looking into this for a few days, and I was thinking of giving priority to Sharing but since half my traffic uses freaking Internet Explorer, I have decided to give priority to my Google Adsense. Why are you guys still using Internet Explorer? There is a new issue between the new WordPress version, the Share Button plugin and Google Adsense that makes Google Adsense NOT appear on Internet Explorer (version 8, I believe), which cuts seriously on my ad clickings. The WordPress forum post says it’s a “resolved” issue, but deactivating the plugin is hardly resolving the issue. Anyway, so there will be no easy sharing until someone fixes that plugin, or someone suggests a better plugin to me. Which one will be faster?